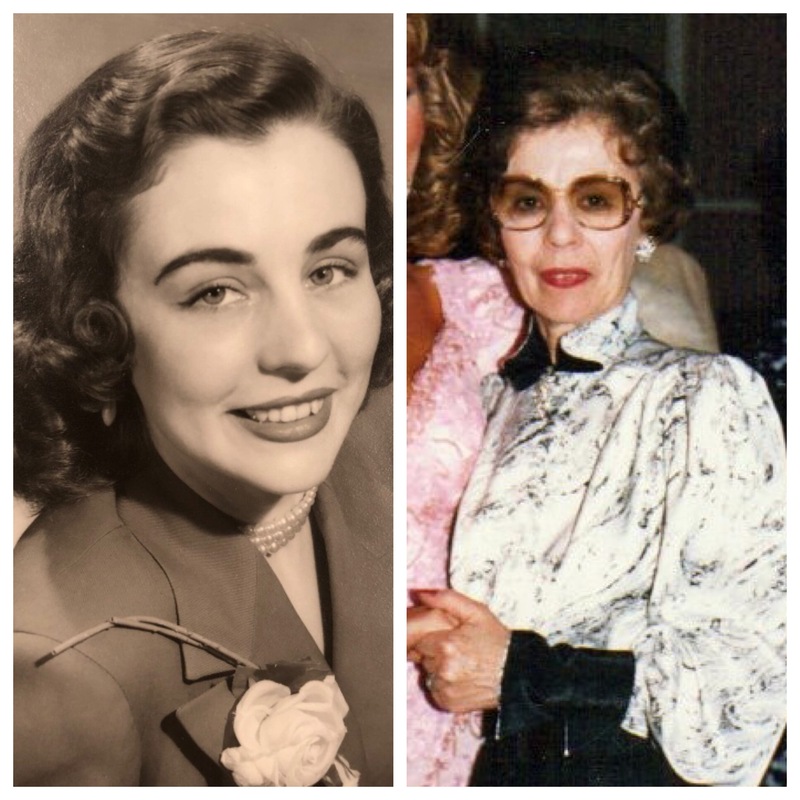 Denise Jeske, age 91, passed away peacefully on December 5, 2017. Denise was born May 30, 1926 in Fort Saskatchewan, Canada, she was the daughter of Pierre Amede’e Moret and Marie Bibiane Moret. In between these two dates was a life lived to the fullest. Denise grew up in Fort Saskatchewan, Canada with her parents, older brother Louis and sister Dorene. Her father was the Mayor of the town for over 10 years and served as the Fire Chief and Alderman. Her family owned the Fort Hardware Store, John Deere Dealership and a Tin Smith Shop where Denise and her brother worked and her mother was the book keeper. Weekends her family volunteered at the mission where Franciscan Priests would come to town and give Mass. The family would organize the Rectory, Louis would play the organ and Denise was the Choir Leader and sacristan for the Franciscan Fathers. While attending the University of Alberta in Canada, studying Education, Denise was crowned ESS Queen (Engineer Students’ Society Queen) on November 9, 1946 at the ninth annual Engineers Ball with over 500 people in attendance. Her fame of beauty and charm spread far and wide. She even became a pin-up glamour girl for the British Army in Egypt. Denise held many different jobs in a time when most women stayed at home. Professional Model for such clients as The Hudson Bay Company, Woodward’s Stores (Edmonton) Limited, Thompson-Dyne’s Store and Holt Renfrew where she purchased her wedding gown. Owned her own modeling agency and school called “The Edmonton Julliard School of Modeling”. In 1953, Denise and her family traveled to Europe for a 4-month vacation. They traveled to Europe onboard the RMS Queen Mary along with their car. It was on this ship that she met the love of her life, Charles H. Jeske, a decorated American World War ll Veteran from Chicago, Illinois. Charles had just converted to Catholicism and was on a solo pilgrimage to visit Lourdes in France. It was love at first sight and 3-days later he asked her to marry him. While traveling in Europe, the Moret family was given a private audience with Pope Pius Xll, on June 2, 1953, because of the work they did for the Franciscan Fathers in Fort Saskatchewan, Canada. They went onto visit relatives in Switzerland where her father, Pierre, was born. 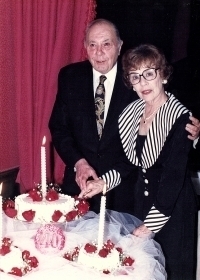 The next year Denise and Charles were married on June 26, 1954 in Edmonton, Alberta, Canada at St. Joachlim’s Church and the reception was held at The Glengarry Club. They honeymooned in Banff, Alberta, Canada en-route to Chicago, Illinois, USA where they would live for two years before moving to Colorado. They moved to Colorado so that her husband could take a job with Univac Computing as a Systems Analyst and he worked on the first commercial computer which is on display at the Smithsonian Museum in Washington, DC. Together they had 5 children: Mark, Cathy, Tim, Mike and Susan whom they raised and devoted the rest of their lives to. She was a proud grandmother to 5 grandchildren Megan, Dustin, Bradley, Andrew, Melissa and Anna. She loved and supported each and all their passions. She and her husband attended virtually every game, production, pageant, play, musical, ceremony and family event. Denise was a kind, creative, funny, witty, giving, prayerful, loving woman that touched everyone she met. She was loved deeply by her family who consider her to be a role model and inspiration. We will miss her greatly. 1991: Became a United States Citizen at the age of 65. Played the piano and was a good seamstress. 1939: Attended the World’s Fair in New York City with her family. From 1966 – 1968 lived in Boise, Idaho and was on the Board of Directors for the Boise Swim and Racquet Club. 1992: Traveled to Thailand for Her Majesty Queen Sirikit’s 60th Birthday Celebration with her husband and daughter Susan. 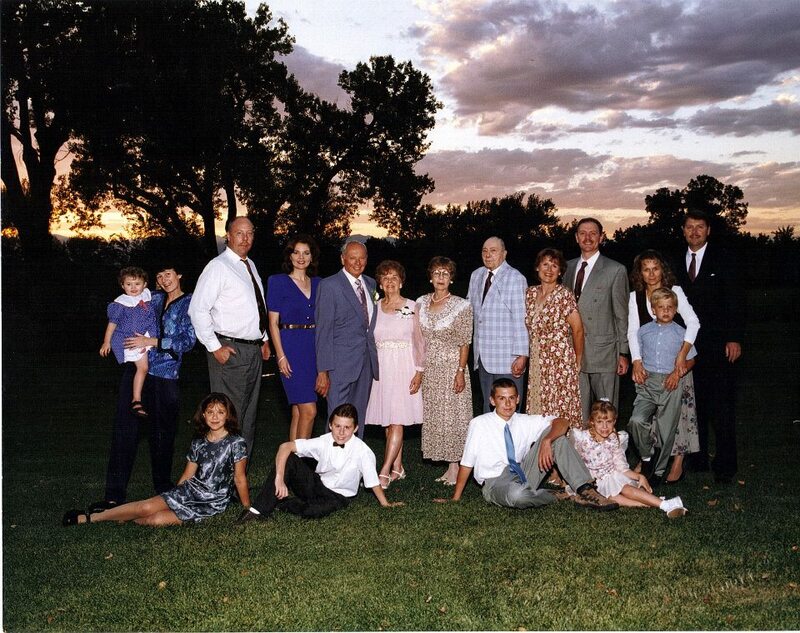 Celebrated their 40th Wedding Anniversary at the Broadmoor Hotel, Colorado Springs, Colorado with their family. 2001: Attended President George W Bush Inauguration with her son and daughter Susan who was invited by the President to attend and sing the National Anthem at several events and ride in the Inaugural parade. Denise and Charles were married for 46 years until Charles death on November 24, 2000. Denise’s nephew from Canada, Father Paul Moret presided at the Funeral Mass. 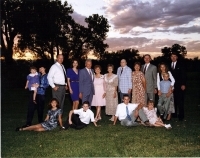 Place of Death: Littleton, Colorado Home ~ Surrounded by his loving family. Profession: Systems Analysis & worked on the first computer which is now in the Smithsonian Museum. Greatest Achievement: Raising 5 well adjusted successful kids. Favortie Song: "Strangers In The Night" & "Some Enchanted Evening." Favorite Singers: Frank Sinatra, Bing Crosby, his daughter Susan & grand daughter Megan Jeske. Favorite Dancer: Cyd Charisse & Fred Astaire. Favorite Band: Herb Albert & The Tijuana Brass. Favorite Trip: Meeting Mom & falling in love at sea on the ship RMS Queen Mary. Sailing away from New York April 15, 1953 bound for port of Cherbourg in Northwestern France. 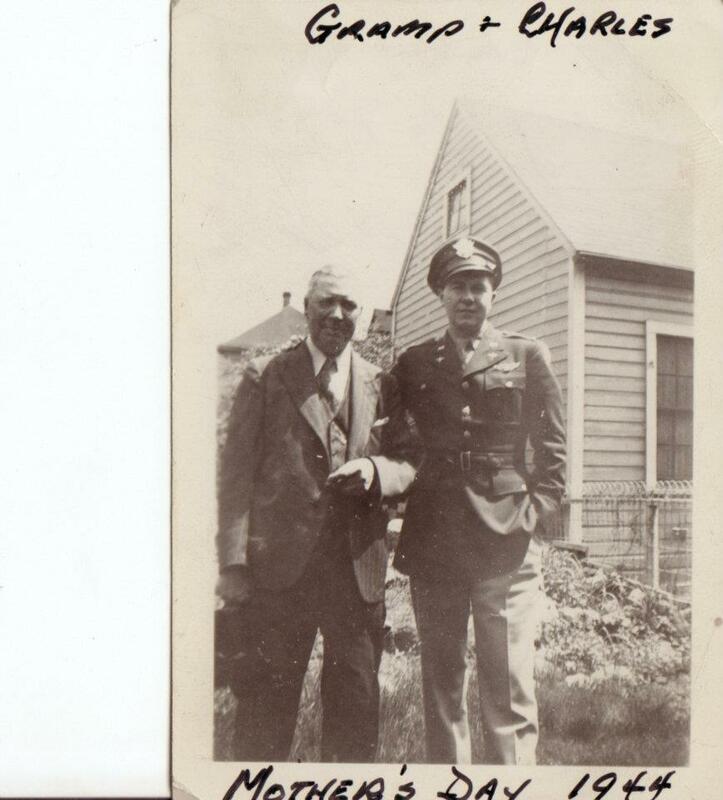 Returned from South Hampton England May 20, 1953 bound for port of New York. Traveled as a Tourist Passenger. Favorite Musicals: The Sound of Music, Mary Poppins, South Pacific, Show Boat, The Kind and I & White Christmas. Favorite Activities: Attending all of his kids activities & cheering us on no matter what we were doing. Basketball Games, Baseball Games, Cheerleading, Plays, Musicals, Pageants, etc. Favorite Past Time: Loved dancing with Mom. Holding hands & spending all his time with Mom, his kids & grand kids. Favorite Saying: Dad always said he loved us all equally & very proud of us. Everyone is special & unique in their own way. 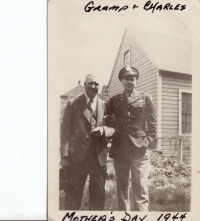 Charles Herman Jeske was a First Lieutenant and served in the Army Air Corp during WWII. 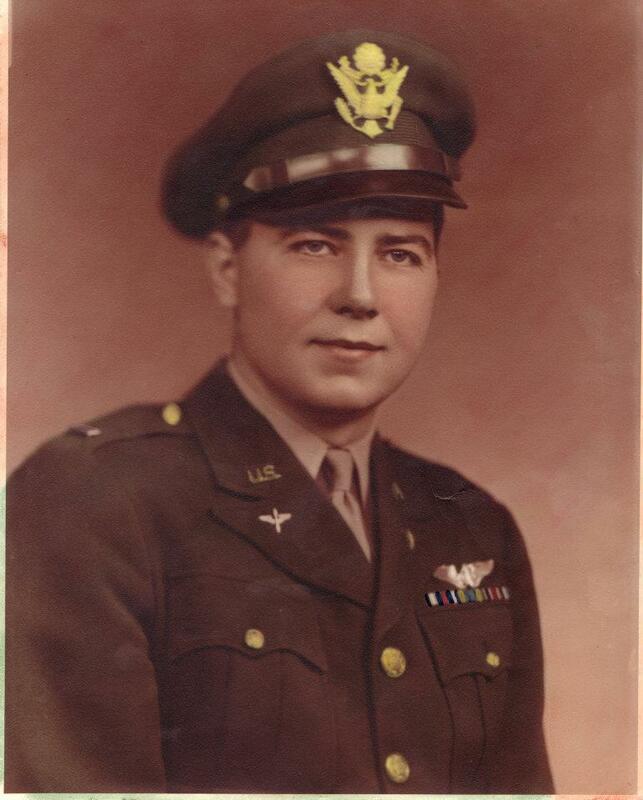 He was a Navigator Bombardier and flew 29 successful missions over Germany including the famous Battle of the Bulge. 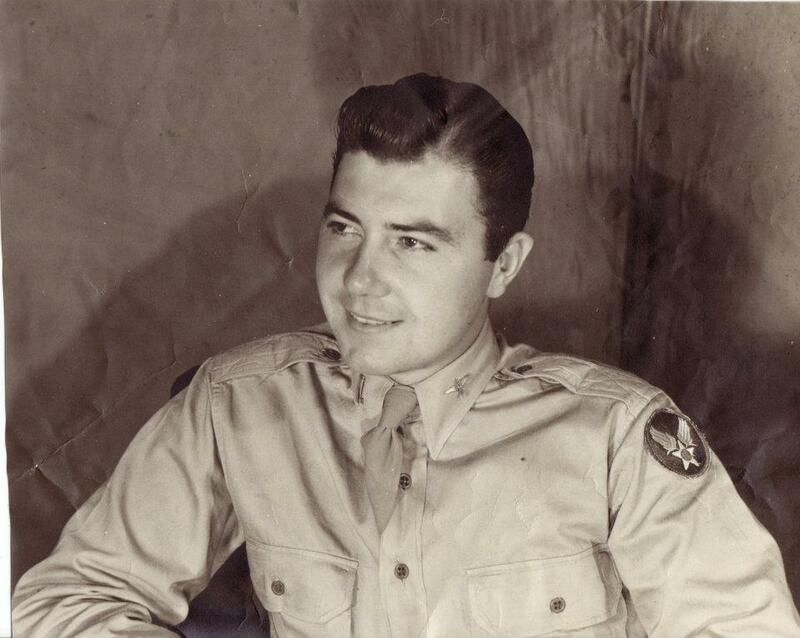 I’ve always known that what my Dad did in WWII was very special and my Dad never wanted to talk about it so it wasn’t until a couple of days ago that I found out the true meaning of what it was that my Dad really accomplish during WWII. There is only one other medal that is higher than The Distinguish Flying Cross and that is the Congressional Medal of Honor. 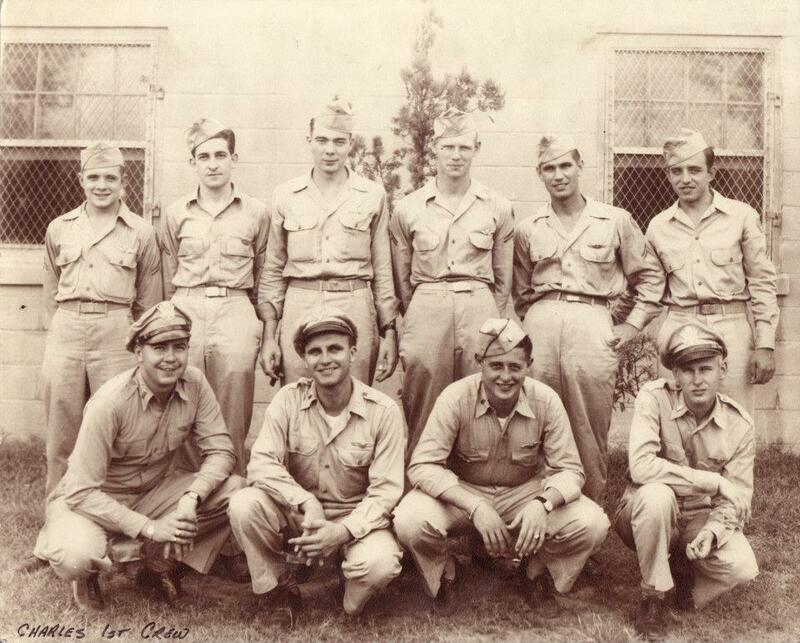 Most of the men who received the Congressional Medal of Honor were killed in war while performing an act of heroism. And the funeral director, Mike who works for Drinkwine Mortuary, told me yesterday that in his 15 years of his profession he has only seen one other Distinguish Flying Cross Medal. And that it had one oak leaf cluster and he was extremely impressed. But my DAD has 3 silver oak leaf clusters which means he received the Distinguished Flying Cross 16 times during his service in WWII. 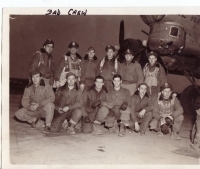 My Dad never wanted to talk about it but there is one story that I was able to get Dad to tell me about when he received one of his Distinguish Flying Cross Medals. Dad was the lead Navigator Bombardier for his squadron for a mission that was headed to Germany for a daylight raid. Dad figured out that they were flying in the wrong direction. So out of the whole flight of some 50 planes Dad tells the pilot to take his squadron of 5 planes to what he thought was the right target. 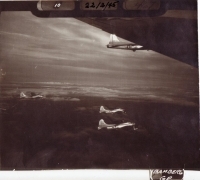 Now keep in mind these 5 planes not only have to get through enemy fighter planes that are coming directly at them trying to shoot them down but they also have to dodge the thousands of rounds of anti-aircraft gun fire shooting up at them from the ground. Once they are in range of the target, Dad would take over the plane and he has to fly it flat, straight and level which makes them an easy target for anyone sitting on the ground waiting to shoot at them. The important part here is that the rest of the planes line up on Dads path because he is the leader so that if he is off on the target so is the rest of the squadron. He lines up the plane, flies over the target and picks the exact moment when to drop 15 tons of bombs so that they hit the factory, railroad or whatever the target is. Well Dad hit the target. 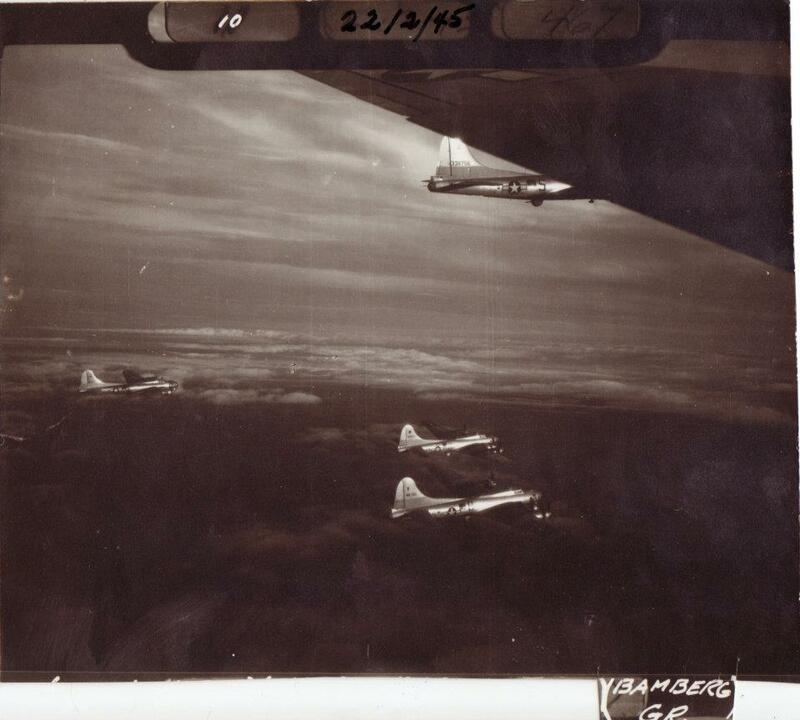 And one of the reasons why they had so many planes on this mission was because the factory was so heavily defended that they sent a whole bunch of planes anticipating that they would lose most of them. Dad got all the 5 planes through the bomb run without losing anyone! And he told me that all five planes got home safely. Meanwhile the rest of the original flight, had to go to an alternative target because they burned up so much fuel flying in the wrong direction. The true heroes of the 20th century was the WWII Veterans. And there are those that point out the ravages of war and say how wrong it is. Yet let us not forget that during this time in history decisions had to be made to counteract the evil plans of tyrants. And if it wasn’t for these brave men and their self-sacrifice we would not have the freedom and blessings that we have today!